Sarah conducts research in the field of aphasia rehabilitation. Sarah is a lecturer in speech pathology and a certified practising speech pathologist. She has 15 years of experience working as a clinician, public servant, and researcher in public health, federal government, and university sectors. Sarah has expertise in the area of outcome measurement, developed throughout her doctoral research project to develop a core outcome set for aphasia treatment research. Sarah’s research has an international focus and she is a founding member of Aphasia United, an international peak body for aphasia organisations. 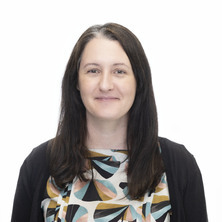 Sarah has expertise in consensus building techniques, stakeholder engagement and the application of the World Health Organisation International Classification of Functioning Disability and Health (ICF) to research. Achieveing outcomes that are important to consumers is increasingly recognised as a key component of value in healthcare. This research aims to identify, evaluate and facilitate consensus regarding patient-reported outcome measures which could be used to gain the perspectives of people with post-stroke aphasia at different stages of their recovery. In health research, there is growing recognition of the crucial role of outcome measurement in study design. Across a variety of health areas, Core Outcome Sets (COSs) have been, and are continuing to be, developed to increase consistency in outcome measurement. Improving Research Outcome Measurement in Aphasia (ROMA) is a program of research which aims to increase standardisation in research outcome measurement through the development and implementation of a core outcome set (COS) (an agreed, minimum set of outcomes and outcome measures). Aim: This research will explore current knowledge and practice; and barriers and facilitators to COS use within an implementation science framework. The University of Queensland is establishing the Queensland Aphasia Rehabilitation Centre (QARC), the first specialist aphasia research and rehabilitation centre in Australia. In partnership with Queensland Health, the QARC will deliver state-of-the-art services to people with aphasia and their families. Two UQ funded PhD scholarships are available to study topics related to the development and activities of the QARC. Potential areas include: investigating the effectiveness and clinical implementation of UQ LIFT (Language Impairment and Function Therapy), cost-effectiveness of aphasia rehabilitation, unmet need of people with aphasia, co-design of aphasia centres, measuring the success of aphasia interventions in clinical practice, student-led aphasia treatment programs, and telerehabilitation. These projects would suit candidates with a background in speech pathology, psychology, or health economics / public health. For more information contact Professor David Copland (d.copland@uq.edu.au) or Dr Sarah Wallace (s.wallace3@uq.edu.au). Discourse measurement in aphasia research: have we reached the tipping point? A core outcome set … or greater standardisation of discourse measures? Aphasia (impaired language and communication) occurs in up to 40% of stroke patients. Aphasia has a greater negative impact on quality of life than other common conditions including cancer and dementia. It is associated with increased depression and decreased employment and causes major psychological distress for the person with aphasia and their family and friends. In Australia, these outcomes are further compounded by health inequalities in regional areas. Regional Australians are both more likely to have a stroke and less likely to access specialist stroke services associated with improved patient outcomes. Despite the poor outcomes experienced by people with aphasia and the inequities inherent in service provision across Australia, little is known about the unmet service needs of this population or their preferences for future service development. A qualitative, multi-site, multi-stakeholder nominal group technique study will be used to identify and gain consensus on priorities for aphasia services in Queensland. The identified service priorities will be used to drive the development of Australia’s first dedicated aphasia rehabilitation and research centre, optimising outcomes for people with aphasia and their significant others.